WARRENSBURG - Local Public Broadcasting Service affiliate KMOS gets nearly 18 percent of its station budget from federal grants from the Corporation for Public Broadcasting. Those grants became the topic of popular discussion after the first presidential debate and remarks by Republican candidate Mitt Romney that he would cut funding to PBS. In that debate, PBS news veteran Jim Lehrer's deficit tackling query backfired when Romney said PBS's federal funding deserved cutbacks for helping the United States ring up a bigger deficit with China (currently $1.16 trillion). "I'm sorry Jim. I'm gonna stop the subsidy to PBS. I'm gonna stop other things. I like PBS. I love Big Bird. I actually like you, too," quipped Romney, who also referenced "Obamacare" as one more program to go. 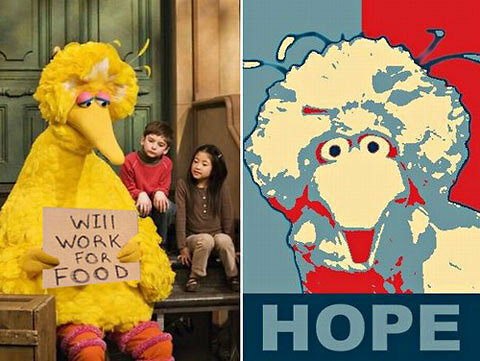 Images of Big Bird saddened by Romney's comments later went viral during post-debate coverage. These images humorously make light of Romney's promise to cut CPB, but local PBS stations everywhere now consider his words a threat. "This is not anything new. Every year, we deal with this threat to PBS, to public broadcasting funding," said Rosemary Olas, interim director of broadcast services at KMOS-TV. "Every year, when Congress looks at the budget, public broadcasting funding is on the table. " In 2012, CPB received nearly $415 million in community service grants (CSGs), which are dispersed to local stations for service-oriented programs and activities within their communities. On average, CSGs make up 15 percent of an entire station's budget, according to a recent PBS investment release. PBS stations said the $415 million represents exactly one-one hundredth of one percent of the entire federal budget. That's the equivalent of one penny out of $100 dollars going to PBS each year. Olas said it's not unheard of for stations operating in more rural communities to exceed the federal grant average. "But the bottom line is that we take that amount, that one-one hundredth of one percent and we raise six times over that amount to be able to operate," said Olas. KMOS broadcasts into 38 Missouri counties. 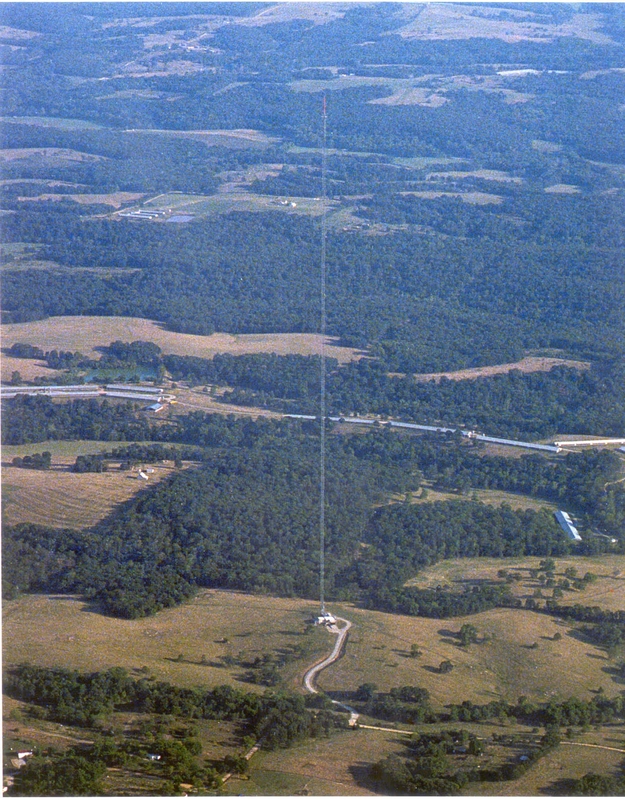 That's made possible by operating the seventh largest man-made structure in the world, the KMOS TV tower, located at its transmitter facility in Syracuse, Mo. The station is licensed to the University of Central Missouri and allows students to operate staff positions during programs. While some feel the station is the "university's best kept secret", Olas sees it as an opportunity to help the rural community in Warrensburg. "We have a new program that's coming up called 'AgriLegacy' and that focus is going to be to help that family farm stay in the family and how to plan for the future of agriculture in this area," said Olas. Critics, however, oppose the belief that these stations are simply unable to function without taxpayer dollars. Underwriting, private investors and other funding sources are far more crucial to station life than federal funding as they represent approximately 85 percent of all other station budget dollars. Some believe that more alternative sources for funding will exist if cutbacks take place in the future. "This is something that these stations should be doing now. They ought to be looking for ways up front, before these cuts occur, on how they might be able to supplement their financing," said Fred Berry, a Republican seeking to represent the 46th Missouri House district in this upcoming election. Berry believes Romney's "Big Bird" comments mean well to guide future PBS funds and make room for larger items. "Sometimes an iconic statement like that is what you need to get the public discussion going," said Berry. "The fact that we need to grasp a handle on our debt and part of that is going to be cutting many of the expenses that we have because they really don't fit the national priority at this time." This isn't the first time Republican plans herald mainstream PBS criticism. Since the network's launch in 1970, President Richard Nixon's "New Federalism" domestic agenda tangled beliefs with practices in seeking entrepreneurial reform from bureaucracy and into the hands of states. Nixon originally proposed the Corporation for Public Broadcasting (CPB) to receive federal funding, calling it service contingent for "the establishment of independent producing unit." However, the network launched exactly one day before the fall of National Educational Television (NET), whose alleged liberal slant with hard-hitting news documentaries drew criticism from the Nixon administration. NET eventually failed after the Ford Foundation, a major contributor to NET, withdrew funding in 1966. CPB was then federally endorsed to take the stead of NET with the hopes that a more regulated and controlled public broadcasting could exist under the Nixon administration. That vision lapsed as CPB made in-house changes including paying higher salaries to public broadcasters and even hiring two weekly anchors that Nixon absolutely abhorred. Congress eventually overrode Nixon's veto of the next CPB funding request in 1972, which became memorable after PBS's Mister Roger's Neighborhood show host, Fred Rogers, gave his iconic defense before the United States Senate Subcommittee on Communications. The defense to educate millions across television helped earned PBS the title of "America's Biggest Classroom." Olas cited the most recent FCC Alternative Sources for Funding release that shows how every potential "opportunity" for alternative funding will either commercialize public broadcasting or remove quality from its broadcasts. "The outcome of that study was there are no sources that will sustain public broadcasting at the level and the quality that we know that could even replace that one-one hundredth of one percent federal funding," said Olas. KMOS received its most recent grant from the United States Department of Agriculture Rural Development to upgrade all in-studio cameras to HD and acquire digital satellite receivers for broadcasting. KMOS estimates nearly 800,000 rural residents will benefit in the KMOS-TV service area. Moments like these garner support from the public interest, said Olas. "We've been overwhelmingly contacted by our viewers because they're validly and really concerned that they might lose their public broadcasting," said Olas.